Since she was a child, Margo Hittleman ’81, Ph.D. ’07, was encouraged to speak up and try to change things that she thought were unfair. Looking back, she says many of the things that bothered her most related to systemic social injustice and exclusion, and she wanted to do something about it. Today, Hittleman is a resource educator for Cornell Cooperative Extension of Tompkins County and co-founder and coordinator of the Natural Leaders Initiative (NLI), a program that has helped more than 600 people develop leadership skills, focus on inclusion and make changes in their families, neighborhoods, workplaces and communities. NLI’s Natural Leaders programming boosts informal and emerging leaders, centralizing those typically underrepresented in community and organizational leadership, such as people of color, immigrants and those with lower incomes. NLI also provides workshops and coaching to staff and leaders in established organizations who want to foster diverse participation and leadership and improve their organization’s impact. NLI’s inclusive leadership workshops range from focused two-hour introductions to the intensive, five-day Cultivating Inclusive Leadership Institute. This year, the institute will take place on campus Oct. 1-5. 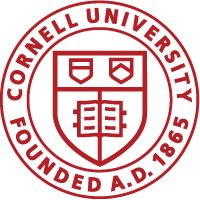 Read the full article in the Cornell Chronicle.